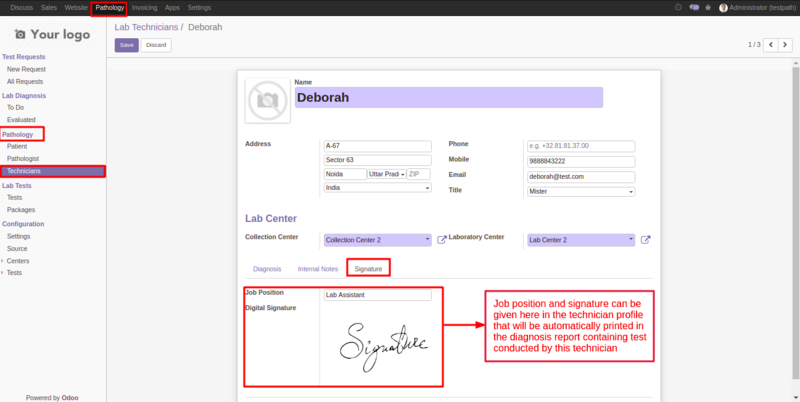 Odoo Pathology Digital Signature is module by the user can upload the signature in Technician and Pathologist profile that will be automatically printed in the Diagnosis Reports of Patient. Note: This module is dependent on Odoo Pathology Lab Management System in order to use “Odoo Pathology Digital Signature” you need to purchase this module also. Digital Signature module provides facility to print signature in Patient Diagnosis Report. Admin can upload the signature of Pathologist and Technician in their record. On the available diagnosis reports, the signature will be automatically printed. Also, Job Position will be shown in the report along with the name and signature of this module. 3. Remove the app’s filter and search for the pathology_digital_signature key. Let us check how this module will work. You can upload the digital signature from Pathology>>Pathologist>>Signature tab. Admin defines the Job position of the pathologist and can upload digital signature under the details of the pathologist. Using this module you may add job Position of the lab technicians as well. 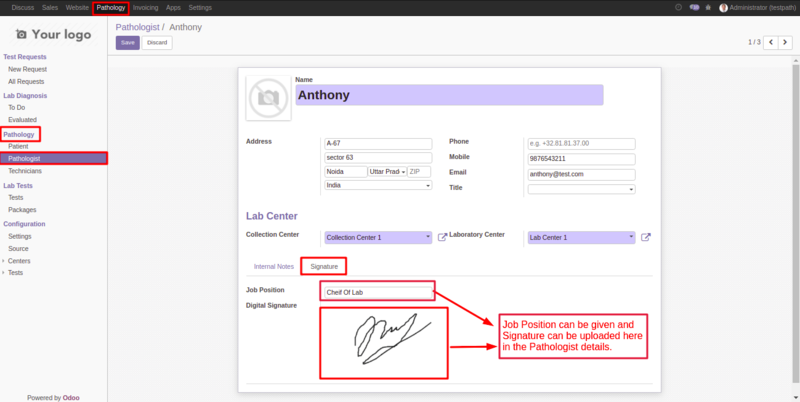 Signature of Technician can be uploaded from Pathology>>Technician>>Signature. 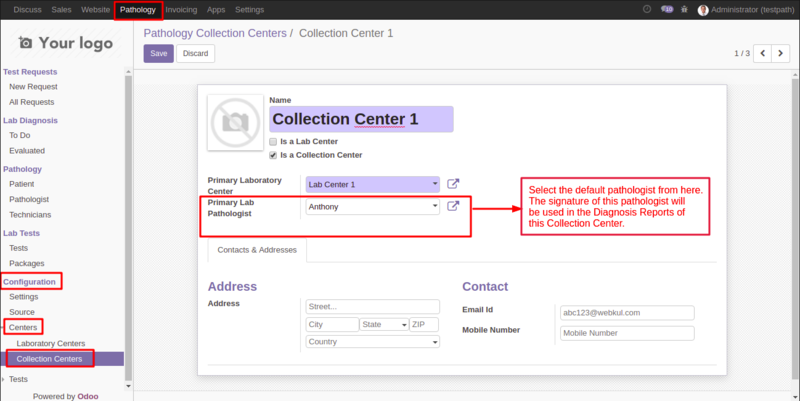 The user can select the default Lab Pathologist from here whose sign will be used in reports of this center. 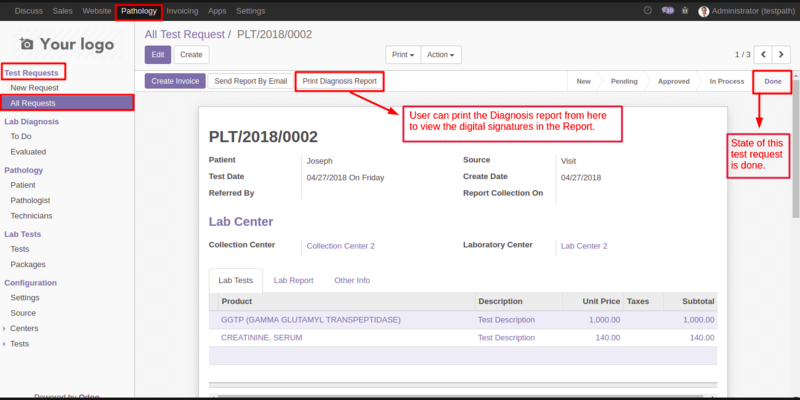 The user can print the diagnosis report after the test state is Done. For this, you just need to click on the Print diagnosis report button once the state is done. 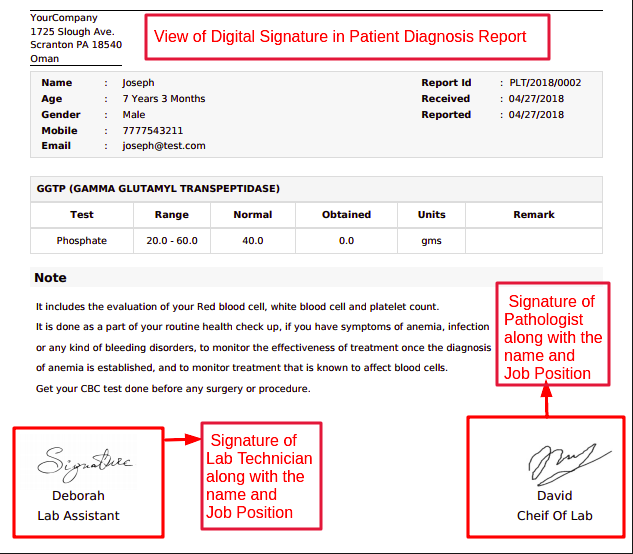 View of Digital Signature in the Patients Diagnosis Report.